Play The World's Greatest Courses! 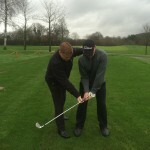 Premier Golf Coaching wales and beyond! Video Swing Analysis and Premier Coaching! Premier coaching offered to individuals, groups, schools and corporate entities. Get in touch to see how I can help you! Using the very latest, cutting edge technology, I can analyse and perfect your swing to ensure a perfect shot - every time. I have been coached by John McDonald for the past 3 years privately and as part of the golf union of Wales set up. John has had a massive impact on my golf game, making significant changes to my swing. These swing changes can be seen in photos and videos throughout the last 3 years.